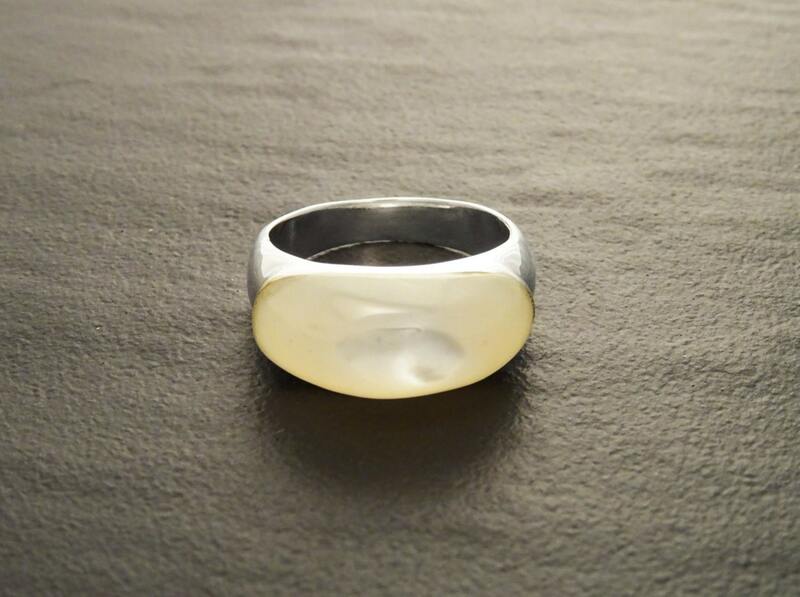 MOP Ring, Sterling Silver Ring, Mother of Pearl, Band Ring, Dome Ring -Dainty Ring - Everyday Ring - Modern, Unique Jewelry, Simple Jewelry. 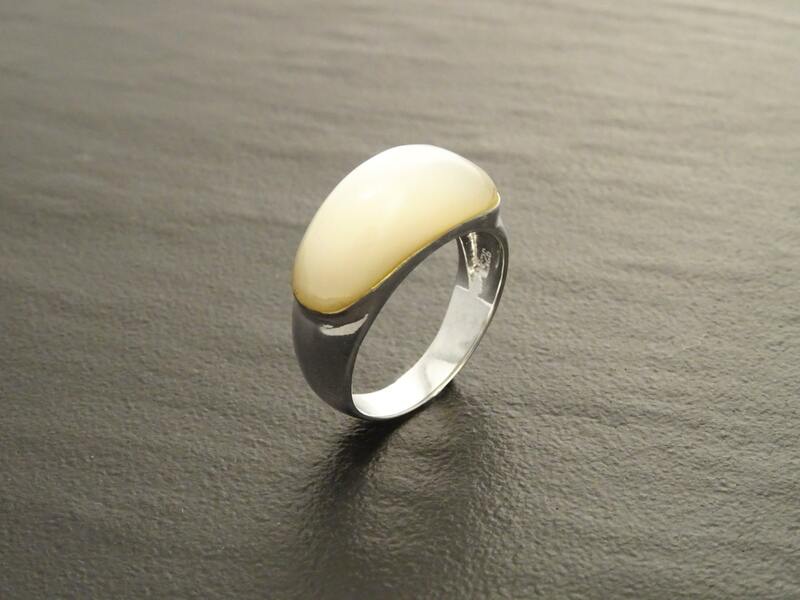 Modern and Chic in Design, this Sterling Silver Ring is set with a Natural Mother of Pearl Gemstone Cabochon. 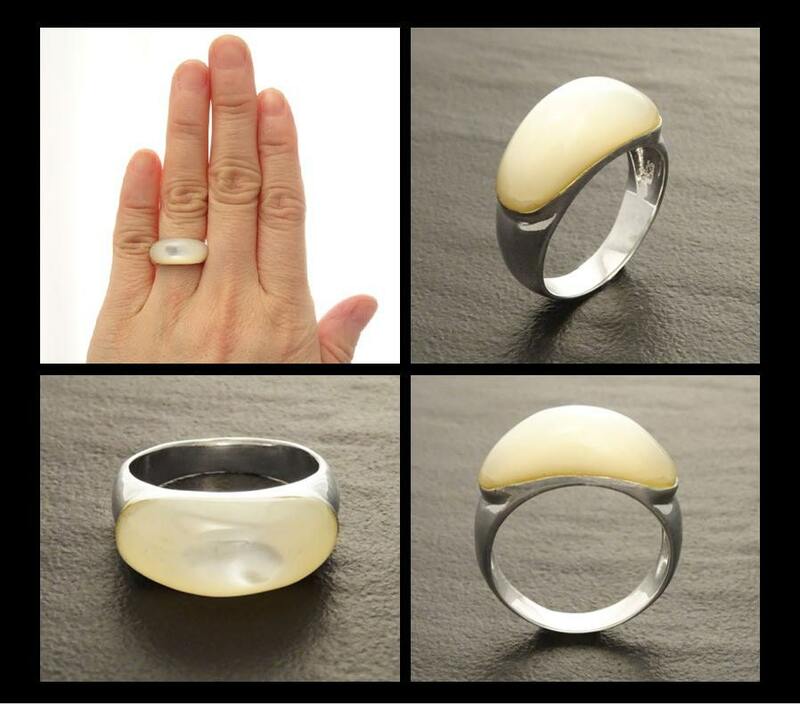 Ring features a 2.0 cm length and 1.0 cm wide Mother of Pearl Cabochon. 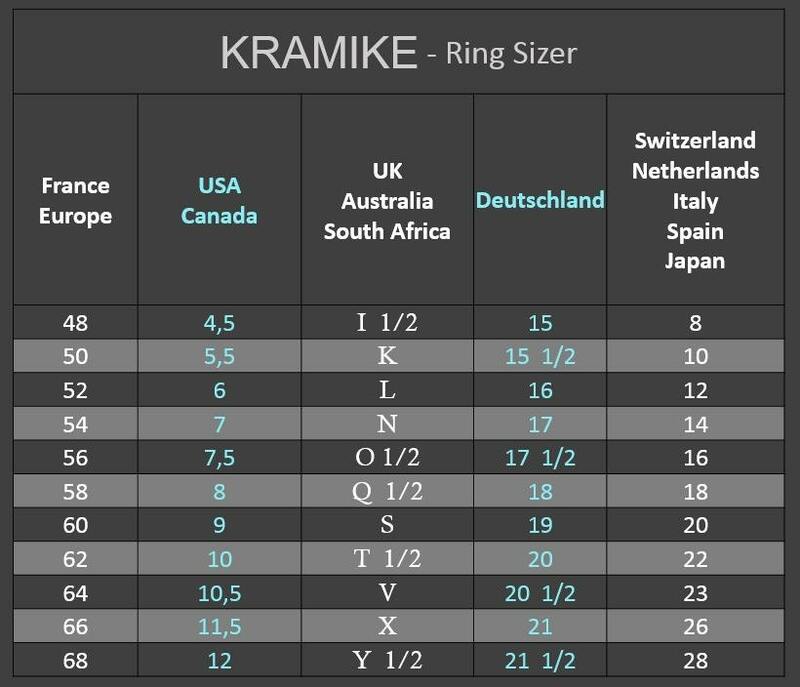 * Ring can also be done with amethyst for a great combination. 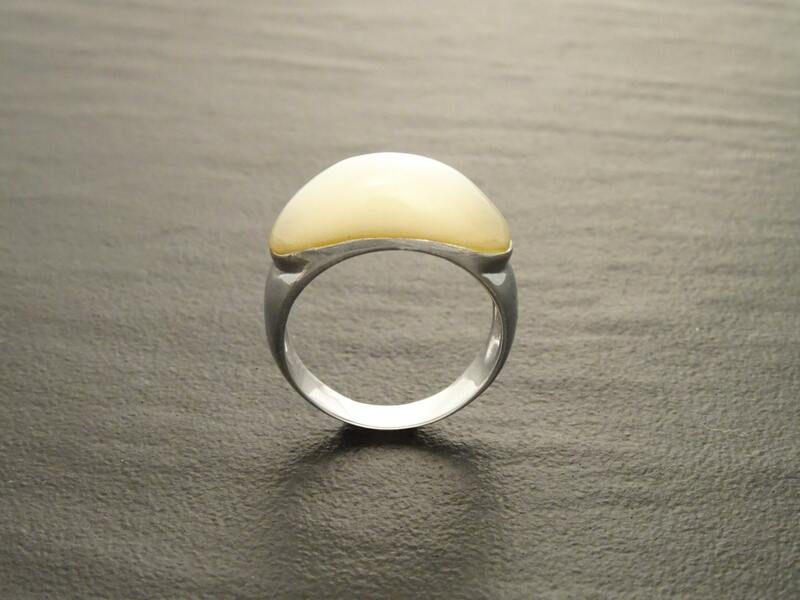 * Other Rose Quartz jewels are presented in our shop. 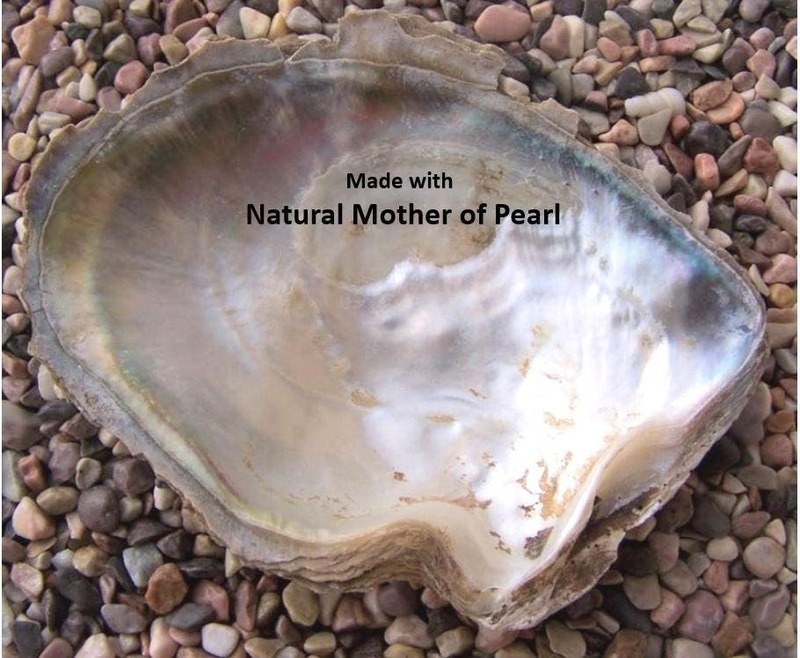 Comme la nacre blanche est magnifique ! Un design certes moderne mais pur ... une réalisation fabuleuse !